Other arrests: Al Jassem was sentenced on 1st April, 2010, to six months in prison for “slander” against the prime minister. The court however suspended the sentence pending an appeal, fixing bail at 5,000 dinars (about 11,500 euros). Mohammed Abdulqader Aljasem, 54, is a prominent Kuwaiti lawyer, journalist and blogger, known for his candid political analysis & criticism of the Kuwaiti government. In 1997, he became the editor-in-chief of Al-Watan Daily Newspaper and later became the founding editor-in-cheif of the arabic edition of Newsweek & Foreign Policy magazine in an effort to increase public awareness in Arabs. Aljasem was an observer on behalf of AMNESTY International in Bahrain and Egypt. He also produced & presented a political TV show called “Al-Majlis” in Al-Hurra channel interviewing influential politicians, writes and activists to raise important issues that were never discussed in the arab region. In 2005, Aljasem created “Meezan” – a website dedicated to provide his opinion and analysis of the Kuwaiti Government and the ruling Al-Sabah family. Through his weekly articles, Aljasem criticized the overall deterioration of the government and accused the Prime Minister Sh. Nasser Mohammed Al-Sabah of mismanagement and corruption. According to Gulf News, Kuwait's criminal court on Monday sentenced blogger writer and lawyer Mohammad Abdul Qadir Al Jasem to one year in prison in the case filed against him by Shaikh Nasser Al Mohammad Al Subah, the prime minister, for writing an article deemed highly critical of him. The article, Nasser XVII, was posted on Mohammad's website. 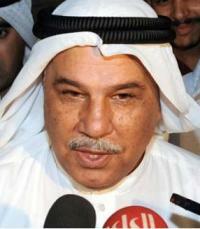 Al Jassem was sentenced also on 1st April, 2010, to six months in prison for “slander” against the prime minister. The court however suspended the sentence pending an appeal, fixing bail at 5,000 dinars (about 11,500 euros).